Some women want children, some don’t, some don’t find the right partner, others are biologically unable to have children. But no matter how much has changed, women continue to be viewed through the motherhood lens. Abused children. Abandoned animals awaiting adoption at rescue centers. Young girls who are married off as children in countries that allow it. There are many situations where pity may be an appropriate emotion. And there are equally as many situations where pity is inappropriate and offends the person to which it is directed. In October, the Internet lit up with women offended by Sigourney Weaver’s pity toward Katharine Hepburn as a woman who never had children. 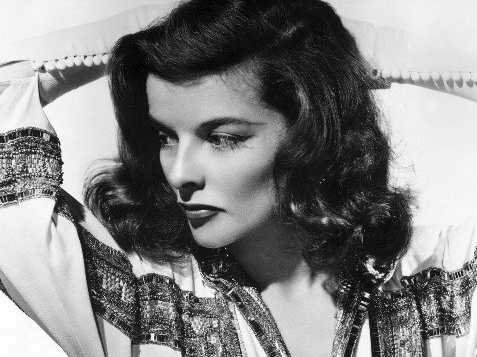 When Weaver was asked if she can identify with women who choose their careers over having kids, she answered, ”I feel sorry for women like Katharine Hepburn. She might have won four Academy Awards but she never got to enjoy what it is to be a mother. I find that very sad.” Weaver arrived at motherhood late in life, thus, she also put her career first for much of her life, giving birth to her daughter at 41. Katharine Hepburn had her reasons for not wanting motherhood. But here’s the thing: She shouldn’t have had to explain her reasons. Asking about someone’s plans to have kids is an exploration of a personal decision that no one should have to explain or discuss if they don’t want to. Women’s lives are drastically different that just a few decades ago. Doors are open or ajar for women that were closed and locked for our mothers or grandmothers. So why is it that society continues to assume that all women should squeeze motherhood into their lives at all costs? Some want it, some don’t, some don’t find the right partner, others are biologically unable to have children. No matter how much has changed, women continue to be viewed through the motherhood lens. Just ask Jennifer Aniston. Opportunity cost is a term borrowed from economics—it is the cost of an alternative that must be forgone in order to pursue a certain action. Thus, if a woman has a passion for a career, and that career does not align with all other opportunities that life has to offer, then she may have to give up other opportunities in order to achieve the one she wants most. If a woman chooses motherhood, she will necessarily forego many other opportunities that may have come her way. The same holds true for a woman who pursues the dream of a career. A friend of mine named Cathy* knew from the time she was a teenager that she wanted to be an entrepreneur. Her declaration was met with positive statements of support from her parents and never once was there an insinuation that motherhood must be squeezed in; or that being an entrepreneur might make it harder to achieve motherhood. Thirty years later, Cathy has her own very successful business. She is happy with her life, she’s active in her community, and she doesn’t have children. Cathy is grateful to her parents for never instilling in her the need to “have it all.” She is at peace because those closest to her supported the opportunities she chose to pursue. To be clear, women such as Cathy don’t welcome your pity. Neither would a woman such as Oprah Winfrey, who stated in a 2009 interview that she was never compelled toward motherhood. One wonders if Sigourney Weaver feels sorry for Oprah. If Weaver had inserted Oprah’s name into her statement, how would that have sounded? Let’s try, shall we? “I feel sorry for women like [Oprah Winfrey]. She might have [helped establish 60 schools in 13 countries] but she never got to enjoy what it is to be a mother. I find that very sad.” How ridiculous does that sound? So is pity a passive emotion or a productive one? Does feeling pity allow us to say, “Awww” and go back to our lives? I posit that empathy is a much more productive emotion. Empathy comes from seeking to understand. Empathy pushes us toward action; whether it’s rescuing animals from homeless shelters, speaking up for abused children, or fighting for the rights of those who are different than us. And please don’t go all “semantics” on me. Calling pity something else, such as sympathy or sadness, is still a rose of the same odor. Leave sympathy to Hallmark and seek to understand this diverse world in which we live. Melanie Holmes is the author of the newly released book, The Female Assumption: A Mother’s Story, Freeing Women from the View that Motherhood is a Mandate. Follow her on Facebook.